“How do you catch a fish that is no longer hungry?” Jack inquires as episode 8 opens on Will and Jack fishing on a frozen lake.Â “You make him come to you” Will explains “and I’m a good fisherman.” Join your hosts Dave Dreher and Doc Rotten as Thomas takes this week off. He sure misses some great fun. The guts flow freely and the metaphors build tension to a fever pitch as Doc and Dave discuss it all. Settle in and get ready to be eviscerated. 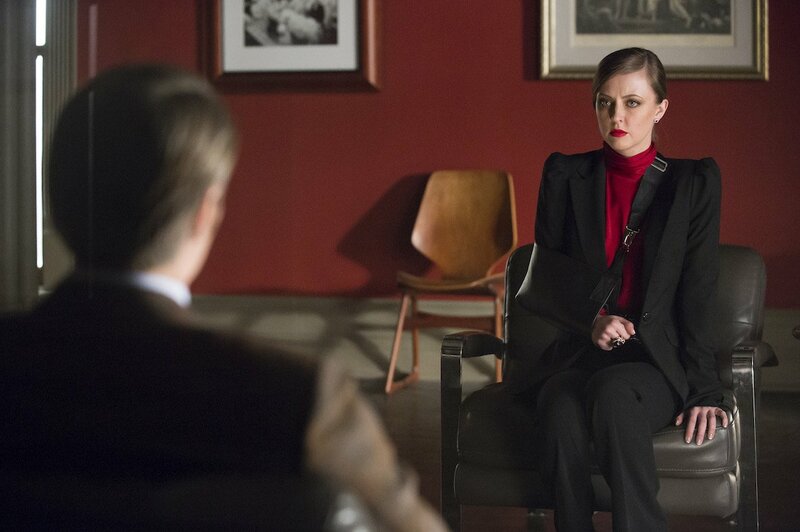 Will is a free man and back under the care of the good doctor but who is analyzing who in this cat and mouse game of â€œwho knows what about whom.â€Â Â Dr. Bloom and Dr. Lecter continue their â€œunholy unionâ€ and it is not a good episode to be a horse. 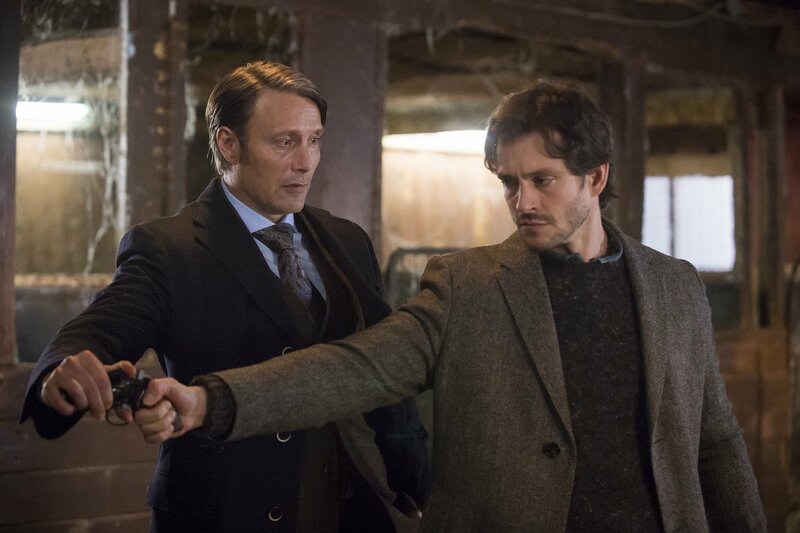 In easily the most visceral and disturbing episode yet NBC’sÂ HANNIBAL raises the bar and the gore level for network horror television.Â Ride along with Doc and Dave as they breakdown this week’s â€œmust seeâ€ episode. 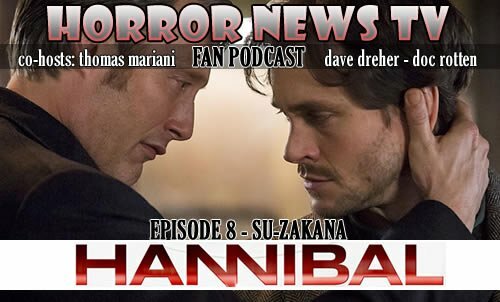 As always we want your feedback so drop us a line at thomas@horrornewstv.com or dave@horrornewstv.com or docrotten@horrornewstv.com and weâ€™ll talk next week as we continue to bring you our recipe for fear with HORROR NEWS TV HANNIBAL FAN PODCAST.